We all know that shoes can make or break a fabulous outfit. The same goes for the shoes that you choose to wear with your dream wedding gown. 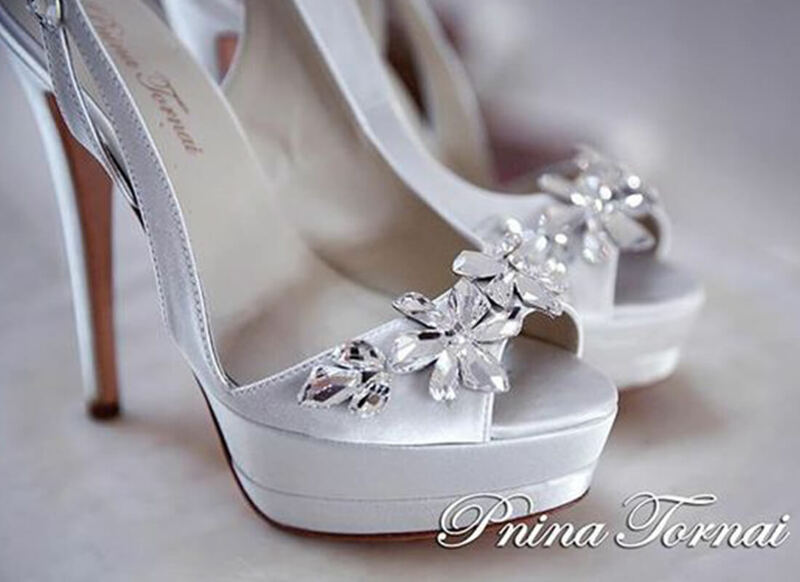 To make things easier for you, the bride, I have created the dynamic Pnina Tornai Shoe Line full of heels that perfectly complement any wedding gown, especially if you are a Pnina Bride! There is truly something for everyone within this diverse and stunning shoe line. No longer will you have to sacrifice fashion and beauty for comfort because these amazing heels have it all. As the Queen of Bling I, of course, had to make sure that there were heels for my fellow bling lovers. 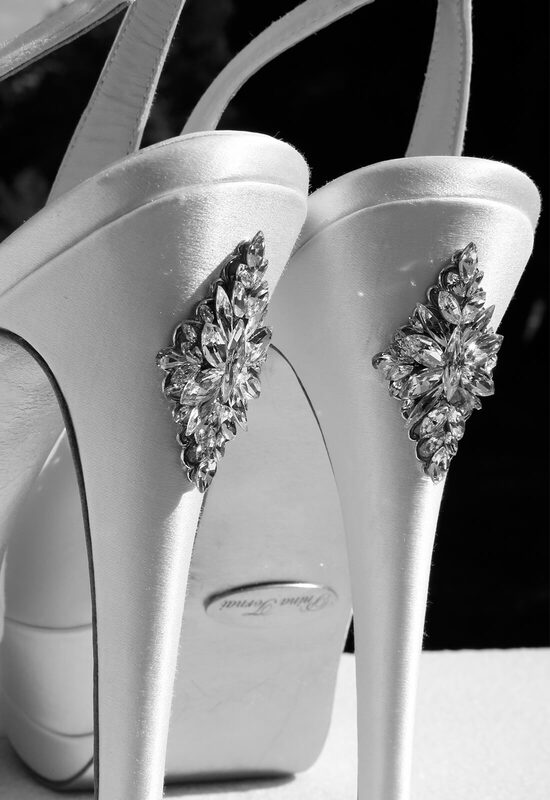 My crystal embellished illusion heels are truly the pinnacle of blinged-out heels. Show off these sparkling heels with a handkerchief gown that has some toe cleavage or a fun high – low gown that let your legs and shoes truly shine. 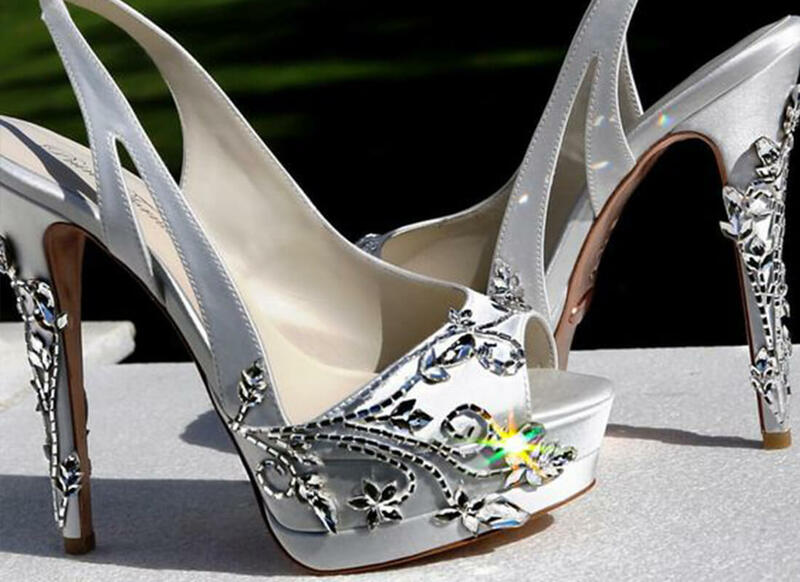 For a more subtle but still dazzling option, I would suggest water crystal adorned heels. They look like sophisticated pearls for your feet and are sure to wow anyone who catches a glimpse of these beauties. Florals are always a wonderful option for spring and fall. Flowers are so versatile, being both sweet and romantic and are a staple within bridal couture. 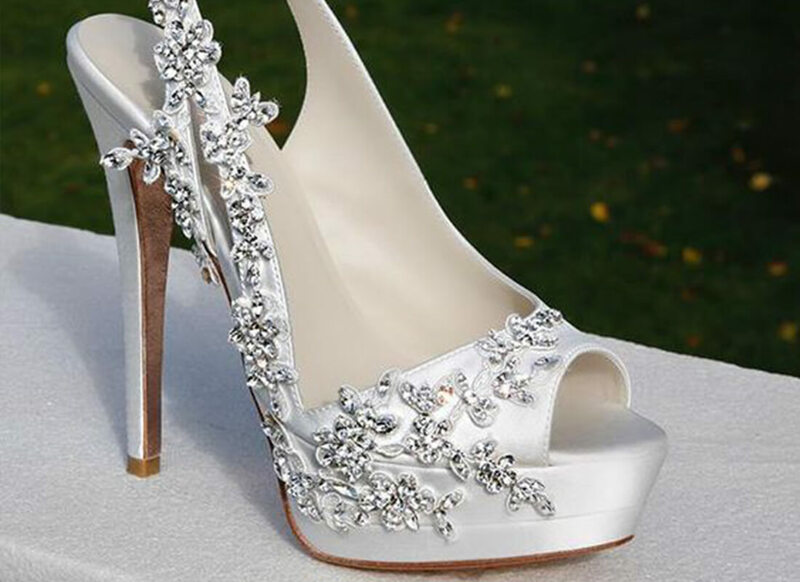 Incorporating florals into your shoe design can also be a wonderful way to pay homage to the season in which you wed.
One way to do floral – inspired shoes is to do a vine inspired design. Or you could go very literal having a floral design with crystal embellishments or crystal embellishments in the shape of a flower! 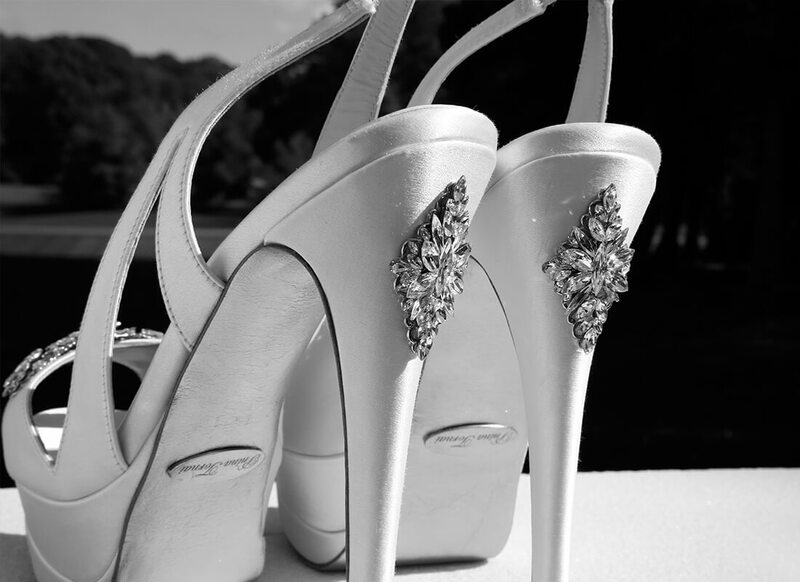 For my fun and flirty brides there are a few wonderful options such as custom heels with a bow or a butterfly adorning them that add a unique twist to bridal shoe style. Lastly you can off course keep the crystal embellishments nice and simple for a more classical bridal look. 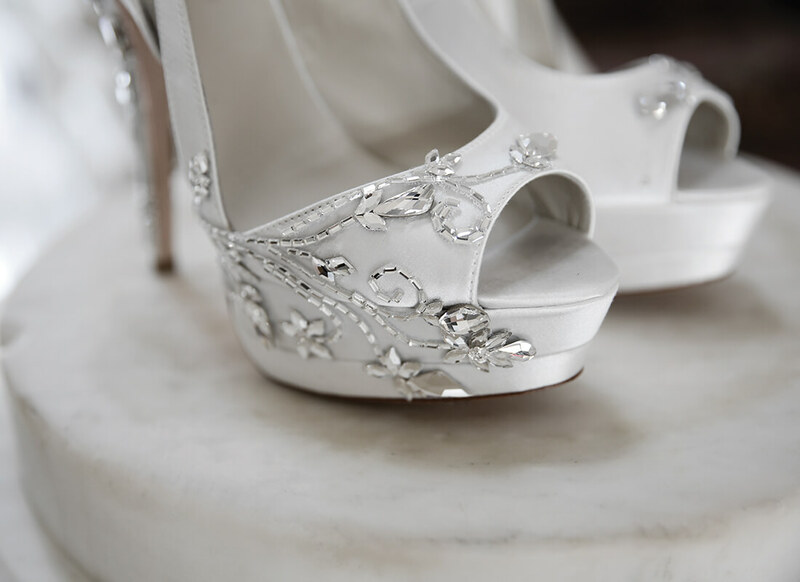 No matter which way you decide to go your guests are sure to gasp in amazement and shower you with compliments when they see your breathtaking Pnina Tornai heels. Lastly, did I mention that the heels from the shoe line are customizable? 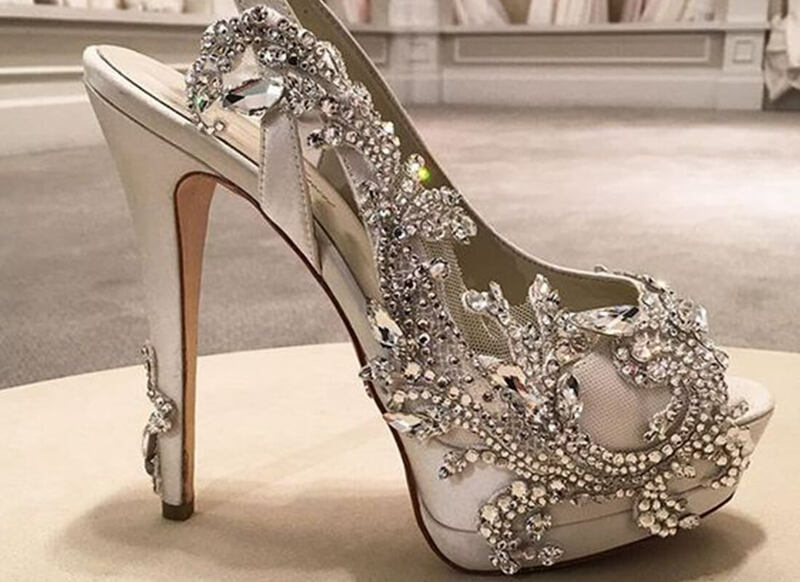 Tha's right – you can custom design your Pnina Tornai Shoe Line heels to match your dream gown! 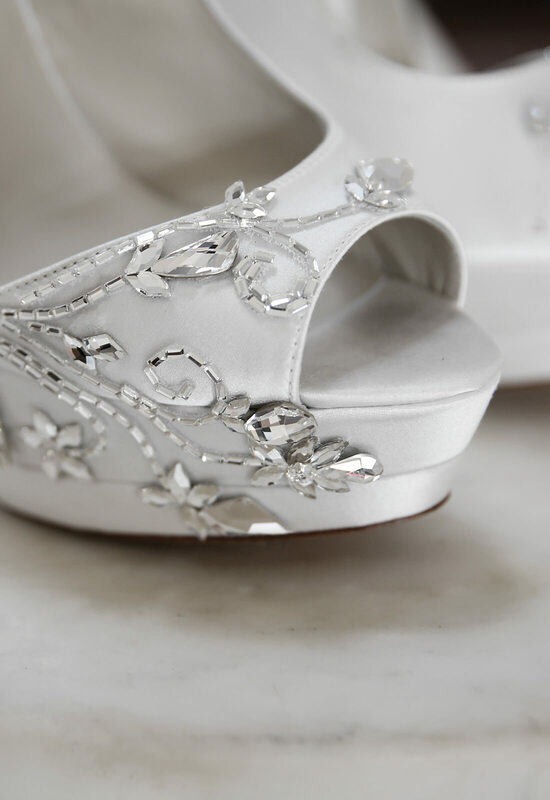 Keeping my amazing brides and the highest of quality in mind, this shoe line was designed so that women could feel confident and comfortable on one of the most important days of their lives one fabulous step at a time.